Well done to those students in Year 7&8 who were invited to have breakfast with Mrs Nettleton. 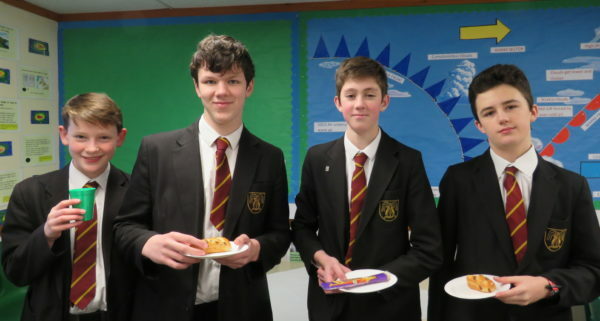 The top 20 students from both years – ie those who gained the most merits last term – enjoyed a celebration breakfast of croissants, fruit and hot chocolate. It was Year 9’s turn to celebrate on Friday, 1st February, with the top merit winners joining Head of Year Ms Harris for breakfast in her room. Again, hot chocolate, crepes and croissants proved to be a big hit with boys and girls alike.